During my research into derelict buildings I became acutely aware of the similarities between architecture and the human mind. A walk through the unexplored and unfamiliar surroundings of a derelict building can be a stimulating experience that allows us to rediscover long forgotten experiences and objects. It can be compared to a virtual walk through our own memories with the help of a therapist. We are presented with unfamiliar territory that can hold many surprises and therefore allows us to break out of our familiar patterns of thought and re-discover lost memories. 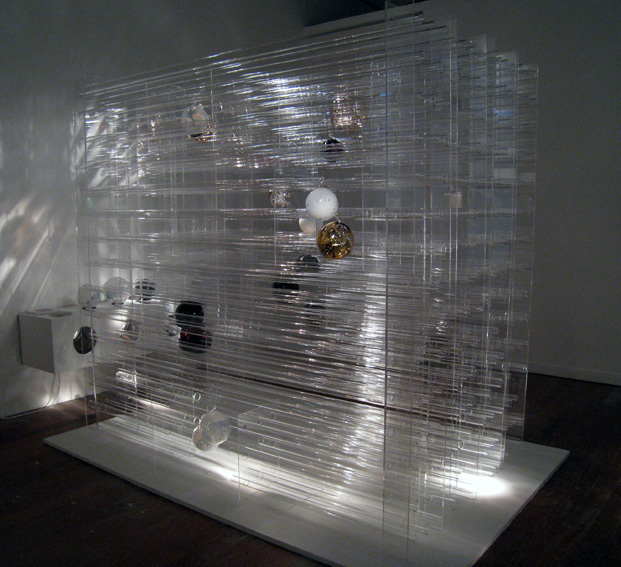 To represent my ideas I have created a structure, 150cm x 150cm x 84 cm, using industrially produced glass tubes to emphasize the architectural qualities of the mind. 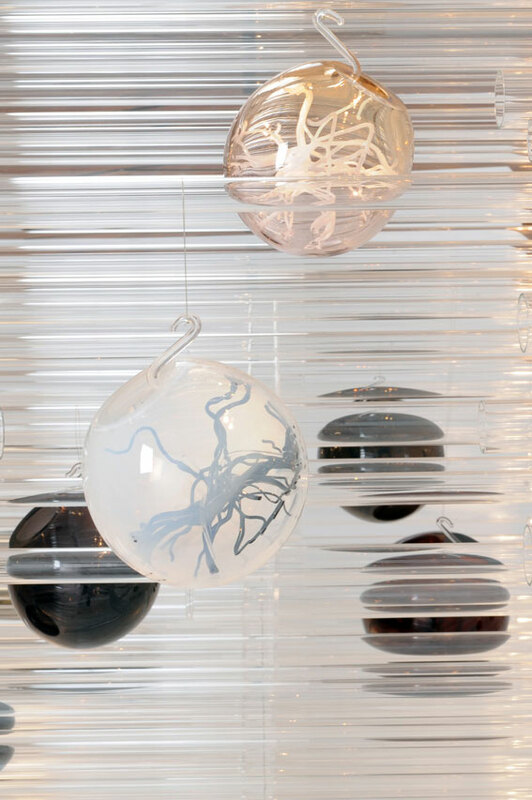 Hand blown glass objects are then placed within the structure, contrasting the industrial tubes and representing the more vulnerable and transcendental qualities of the mind. 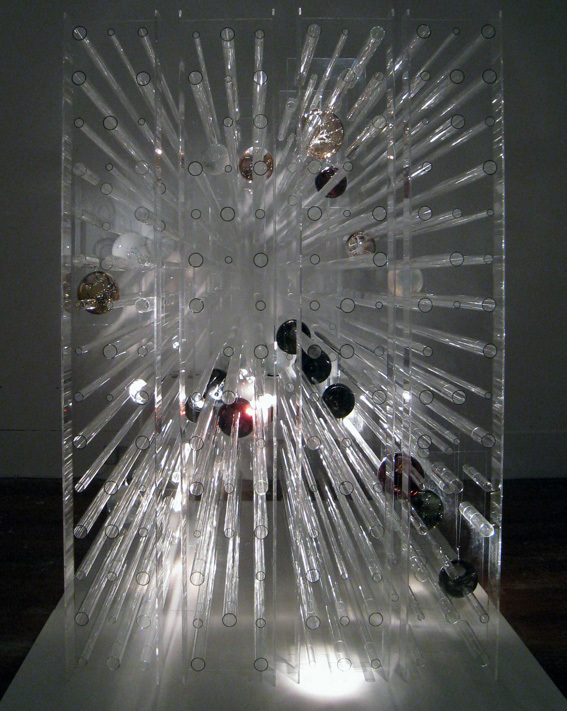 Glass itself is a schizophrenic material that is perfectly capable of portraying this duality of order and chaos. Delicate and fragile but at the same time a common structural component due to its transparency and strength, glass presents itself as the ideal medium to represent my ideas of the similarities between derelict architecture and the human mind. 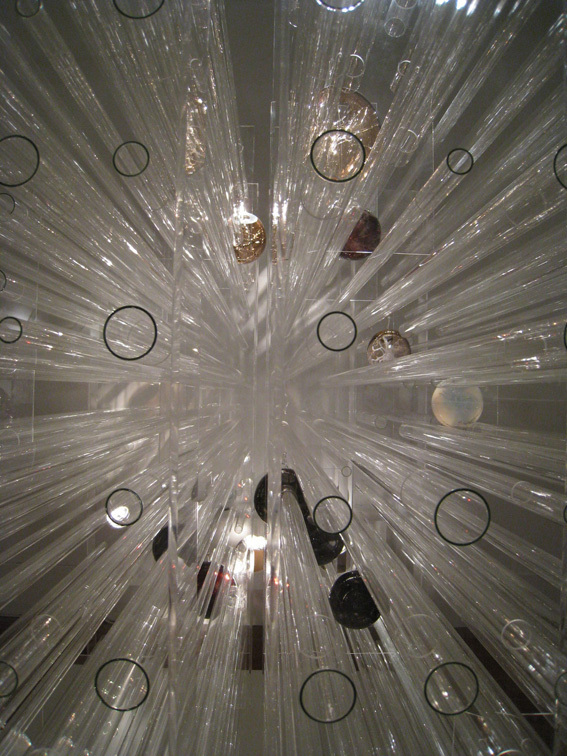 The objects placed within the architectural construction represent memories, partially obscured and imprisoned within the giant structure of the mind. The density and intensity of the colours is varied, allowing a number of revealing glimpses into the inside of these memory objects. Darker and more concealed memories sit nearer the centre of the structure, comparable to dormant and nearly forgotten events at the back of our mind. The more revealing and translucent objects towards the outside of the structure represent the more vivid memories that are located at the forefront of our mind.